Do you want to provide targeted support for patients with us in the fight against cancer while further developing innovative proton therapy? Then consider yourself welcome! As one of the first centres in Germany and Europe, the WPE offers patients all methods of proton therapy in four treatment rooms. In addition, a specially equipped Eye Therapy Unit will operate in close cooperation with the Ophthalmology Unit of the University Hospital Essen. 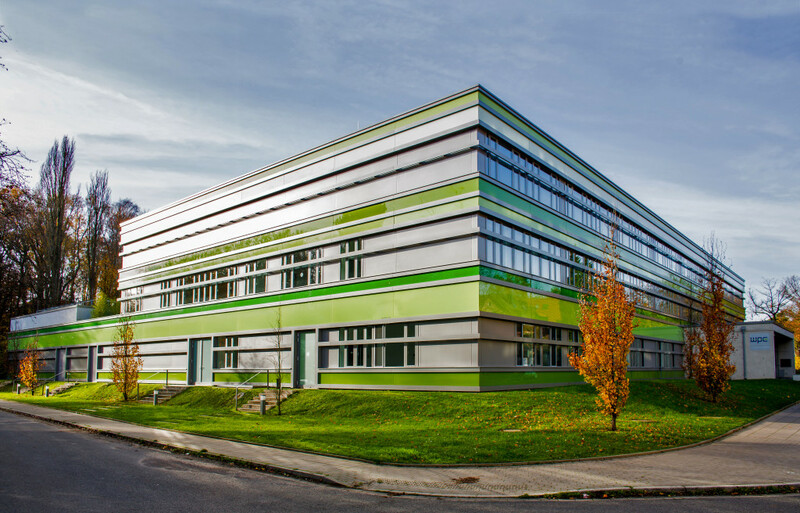 The WPE is close to the West German Cancer Centre (WTZ) that is connected to the University Hospital Essen, one of the leading thirteen oncological centres in Germany. Many experienced physicists, doctors, radiographers and other professions are part of our international team whom you can meet here. To be able to help even more patients, we would like to expand our team. We offer a challenging and interesting area of responsibility, an attractive workplace, a wide range of therapies, an international patient clientele as well as broad opportunities for further training and opportunities for advancement. We are looking forward to meeting you! As a tertiary care university hospital with around 1,300 beds, our 6,000 staff in 26 medical departments and 23 institutes and specialist centers care for 225,000 patients per year. We provide medical care, state-of-the-art diagnostics and comprehensive treatment to the very highest international standards. Added to this is an extensive range of activities in research and teaching at a level competitive with those anywhere else in the world. The classification is dependent upon personal and collective bargaining requirements. As well as the customary activities expected of a consultant, you will be responsible for clinical aspects relating to ​​one or more tumor entities as well as the development of treatment programs and scientific studies within the context of proton therapy. The Department of Particle Therapy at the West German Proton Therapy Center Essen (WPE) offers state-of-the-art radiotherapy using protons to combat tumors. The proton therapy system is equipped with three gantries, one fixed beam and one eye treatment station, and is optimized for outpatient, image-guided precision radiotherapy using protons. Clinical/technical refinement is one of WPE’s explicit goals, in addition to expanding the indication range and treatment capacity. Conducting studies is therefore an important part of our overall treatment strategy. Recognition as a specialist physician in the field of radiotherapy and a completed doctorate are essential requirements. Applicants should have in-depth knowledge of image-guided precision radiotherapy and / or experience in particle therapy (preferable, but not mandatory). Particle therapy skills may be acquired at the center. An interest in clinical research is expressly preferred. There will be an opportunity for post-doctoral habilitation. We treat patients mainly from Germany, but a large percentage also comes from abroad. For this reason, a good command of (at least) English is required; German would be an advantage, but can be learned by taking language tuition offered at the center. For purposes of patient care, a medical practitioner’s license issued under German Medical Association rules is required. Secondary employment and part-time working arrangements are governed by the Tertiary Education Part-Time Employment Regulations of the state of North-Rhine Westphalia. Severely disabled applicants and individuals treated as such under Sect. 2 Para. 3 of the German Social Security Code (Vol. IX) shall be given preference, all else being equal. The University of Duisburg-Essen aims to increase the percentage of women in its scientific and academic staff. Applications from females are strongly encouraged. Where suitability, aptitude and professional performance are equal, preference is given to women where reasons prevailing in the person of the competitor do not mitigate otherwise. The vacancies offered are essentially also suitable for part-time employees. Contract of employment will initially be for a fixed term. The term of the contract will be agreed depending on your personal situation and in keeping with the German Scientific & Academic Fixed-Term Employment Contracts Act and the German Part-Time & Fixed-Term Employment Contracts Act. Recognition as a specialist physician in the field of radiotherapy is an essential requirement. Applicants should have in-depth knowledge of image-guided precision radiotherapy and / or experience in particle therapy (preferable, but not mandatory). Particle therapy skills may be acquired at the center. An interest in clinical research is expressly preferred. There will be an opportunity for doctorate or post-doctoral habilitation.